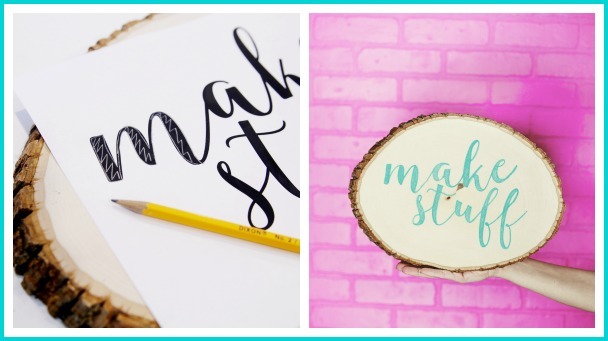 Home » crafts » Draw on Wood – without a stencil!! 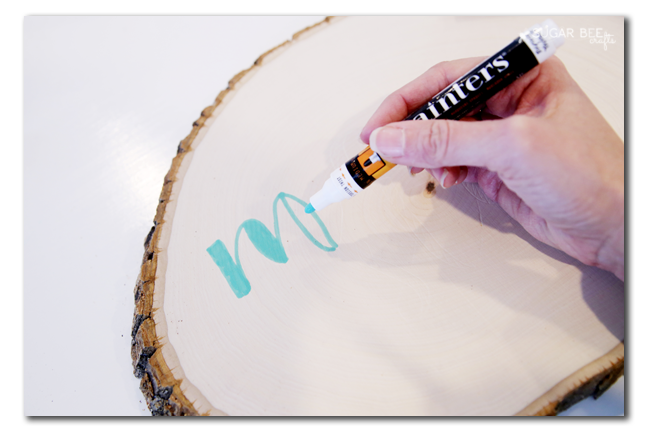 Draw on Wood – without a stencil!! 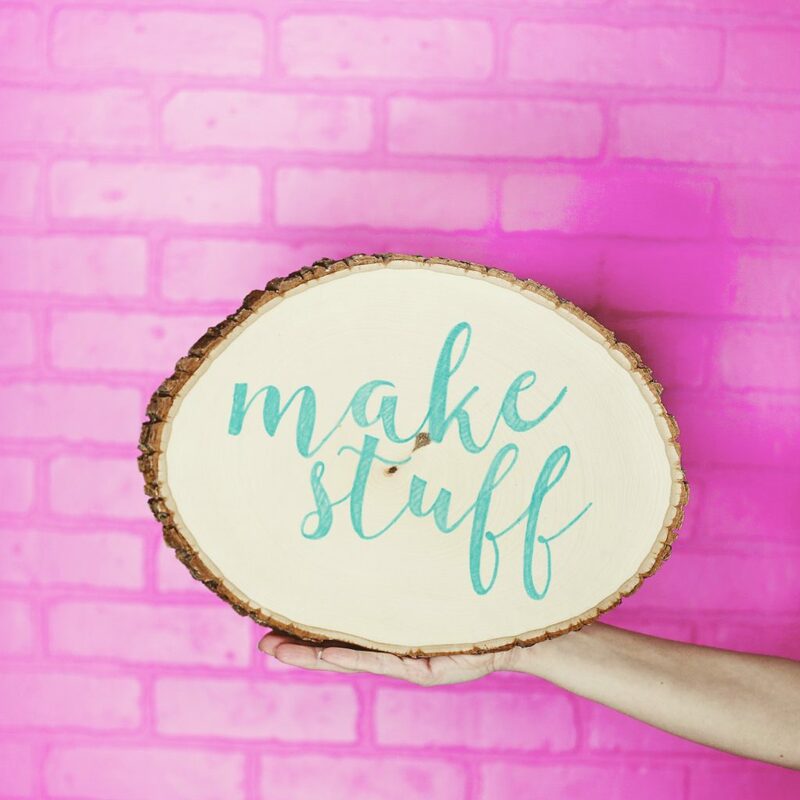 I hear all you out there – you LOVE all these quote signs that are EVERYTHING and EVERYWHERE, but you don’t have a cutting machine (yet!) and so you can’t cut out your own stencils to use to make those awesome signs. I get it – I was there! And so when I tacked this wood slice project, I made it old-school style, so that ANYONE can replicate it. 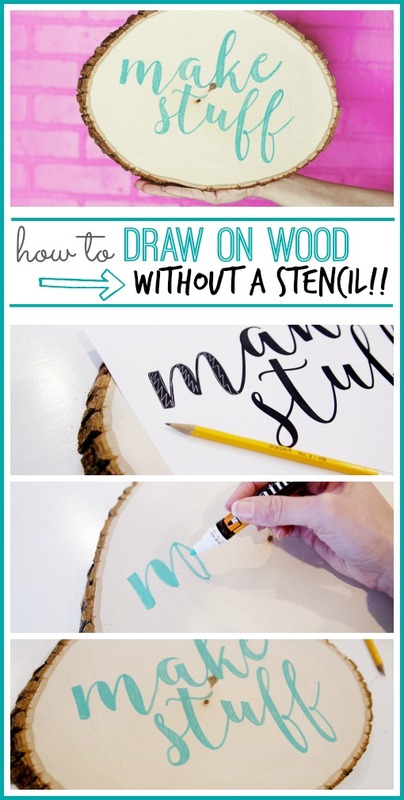 Yep, this is all about how to Draw on Wood – without a stencil!! So just sit back and enjoy as I walk ya through the how-to of this fun and easy (and doable!!) project. 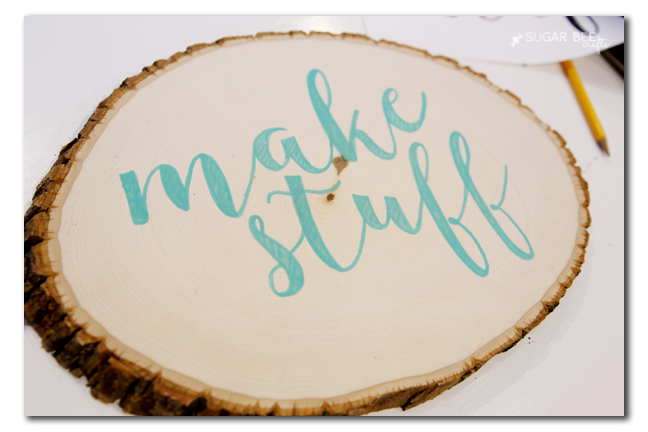 You place your printed words where you want them on your wood. Tape it into place if you think it’s going to shift. Then, using the pencil or pen, trace over the letters, pushing firmly. When you’re done, move the paper. You should be able to see the indentions of lines in the wood – it was hard to take a pic of it, but if you look close you can see them. 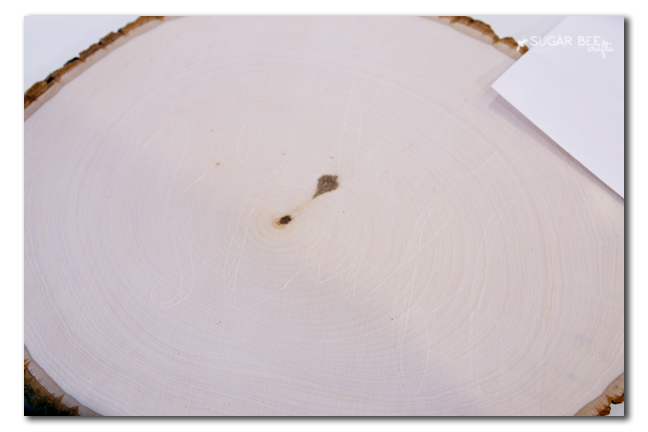 So there you have it – a pattern traced on to your wood. Now grab your paint pen and just slowly trace the lines that are impressed into the wood. I went back over the words for a second coat. But really, that’s all there is to it! So cool, right?! With just a few things you probably have on hand, you can make one too!! 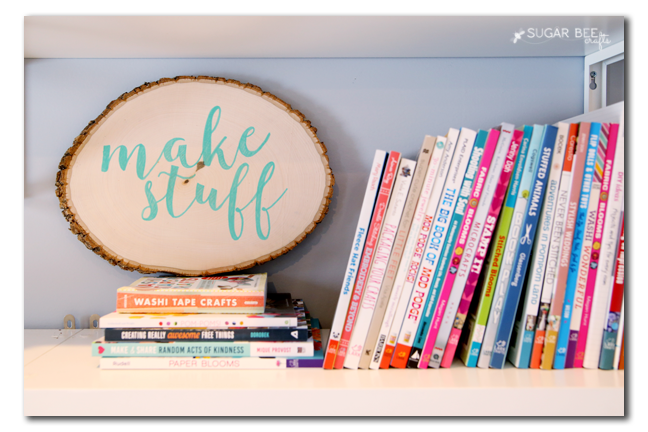 It has a home on a shelf in my craft room and I just love it! So…. do it! 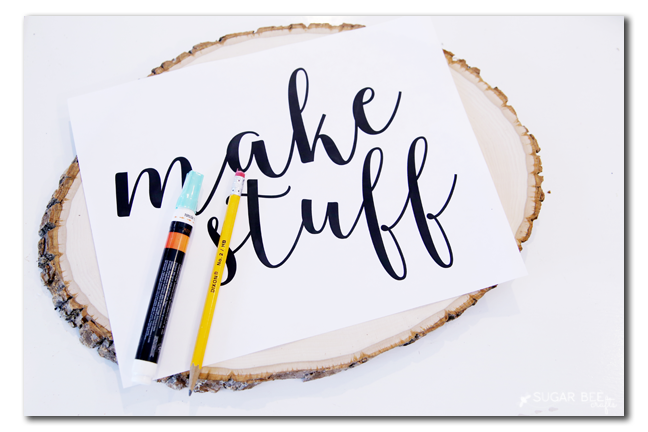 Go Make Stuff!! Crank one out for yourself, you’ve got this! 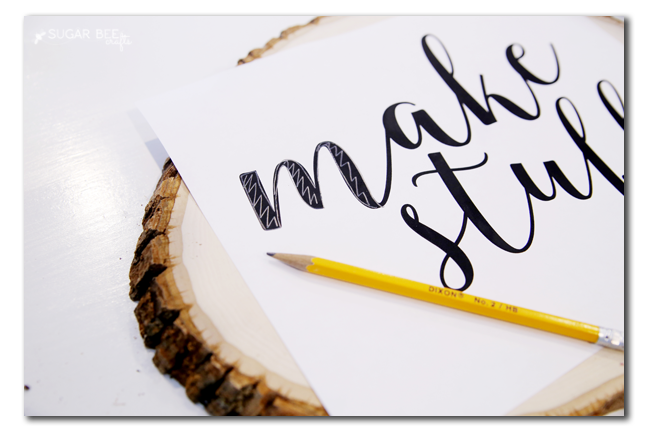 Draw on Wood – without a stencil – you can do it! So cute! We are getting ready to move into a house and I have been looking for some farmhouse/rustic kind of decor. This would be so cute anywhere! Love it! What is the font name you used for this project? Thanks. I think I used “blingtastic” and if it’s not that, then I used “lasermetal” – great question! What font is this? Love it! I think I used “Blingtastic” for this – either that or “Lasermetal” – – hope that helps!